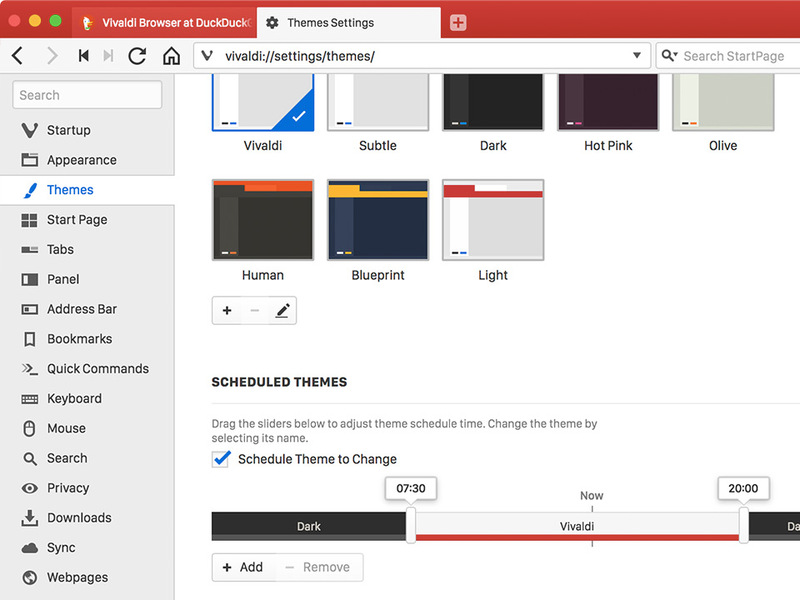 Use ultra-customizable Themes to give your browser a look that's uniquely yours. 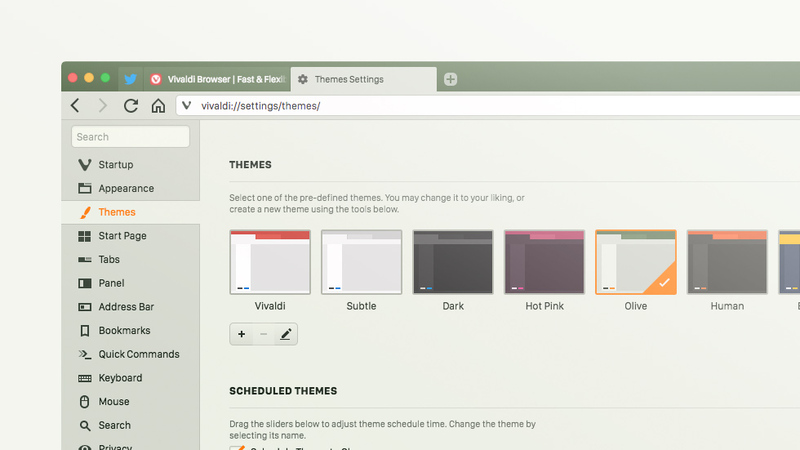 Create a schedule to change your browser's theme throughout the day. 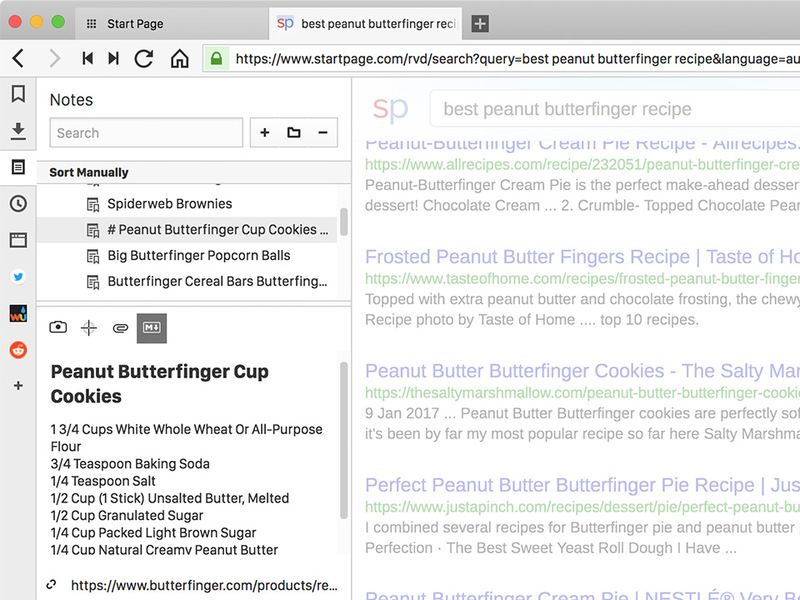 Web Panels make checking your favorite chat apps, social feeds and news sites a breeze. Add as many as you like. Rearrange them with drag 'n' drop. You can even open a specific panel using custom shortcuts. 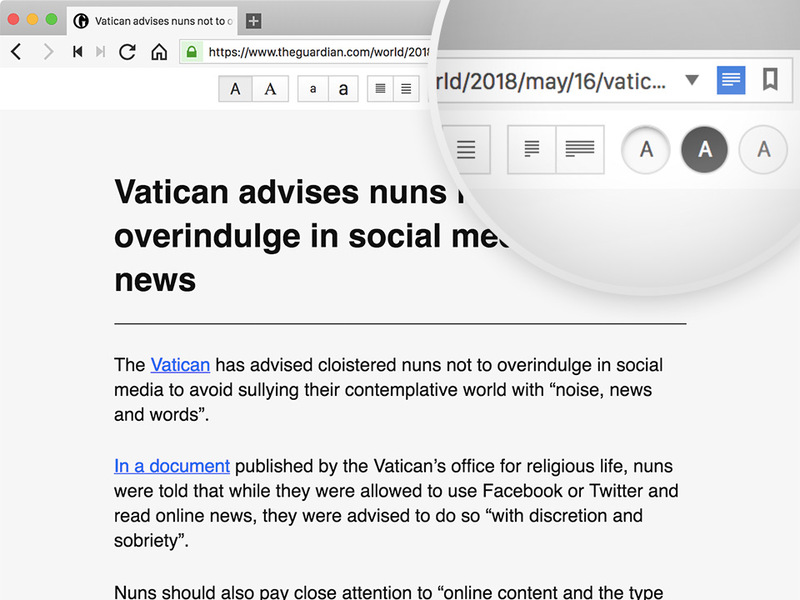 Vivaldi adapts to you, but it also adapts to the sites you visit. The interface can pick up the main color of the website you're viewing and use it as an accent color. 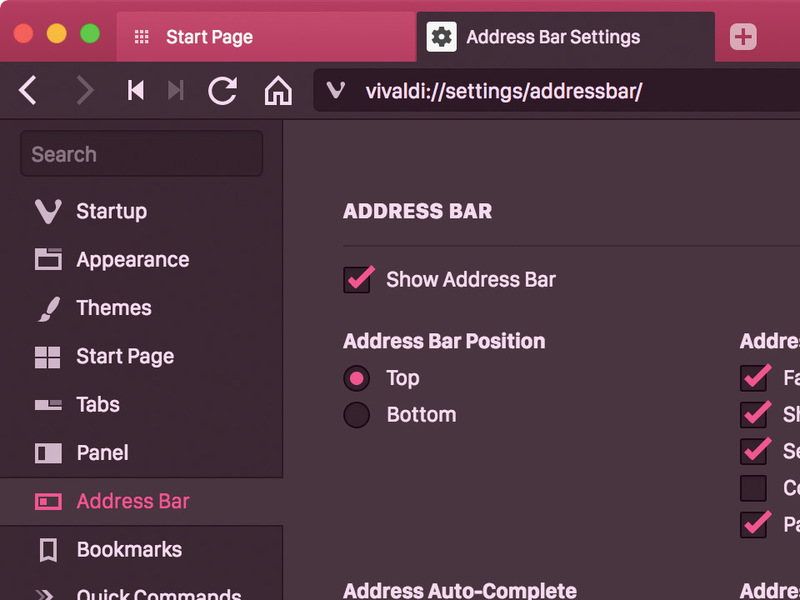 Customize the placement and appearance of the Address Bar, Bookmarks Bar and Status Bar in Vivaldi. Place them at the top or bottom of the screen, adjust their size with User Interface Zoom, or hide them altogether. 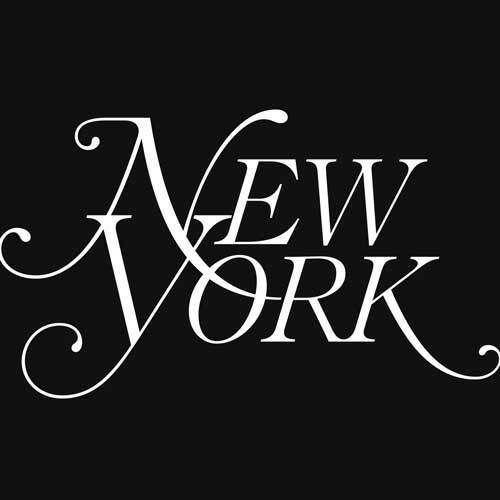 Use Reader View to focus in on what matters – the content. Cut down the clutter on any page and enjoy reading again with adjustable font size and color schemes. 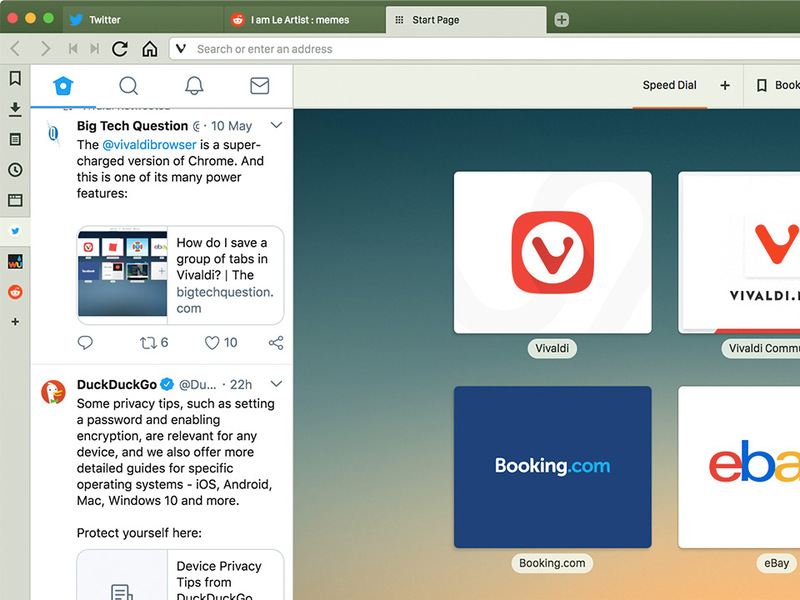 Vivaldi's Panel keeps go-to tools within easy reach in the side bar. Work with your History, Downloads, Bookmarks, and Notes in split-screen with your main window.